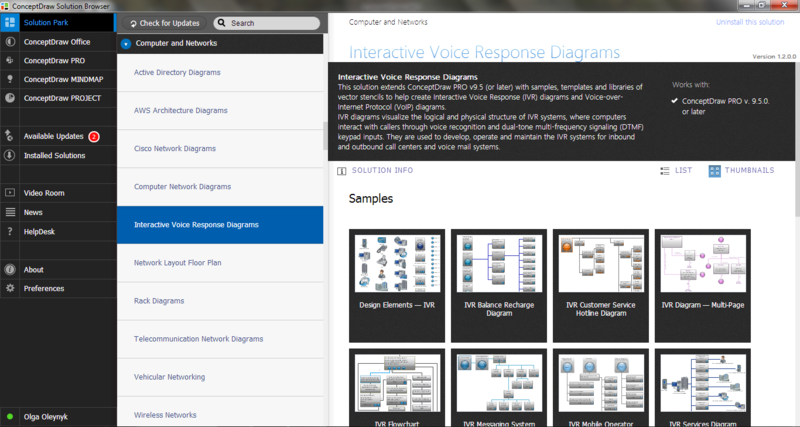 ConceptDraw DIAGRAM extended with Interactive Voice Response Diagrams Solution is a powerful software which provides a set of helpful tools for designing IVR and VoIP diagrams and visual representing the voice actors on them. Now you don't need to be an artist to create professional looking and attractive IVR and VoIP diagrams with voice actors. 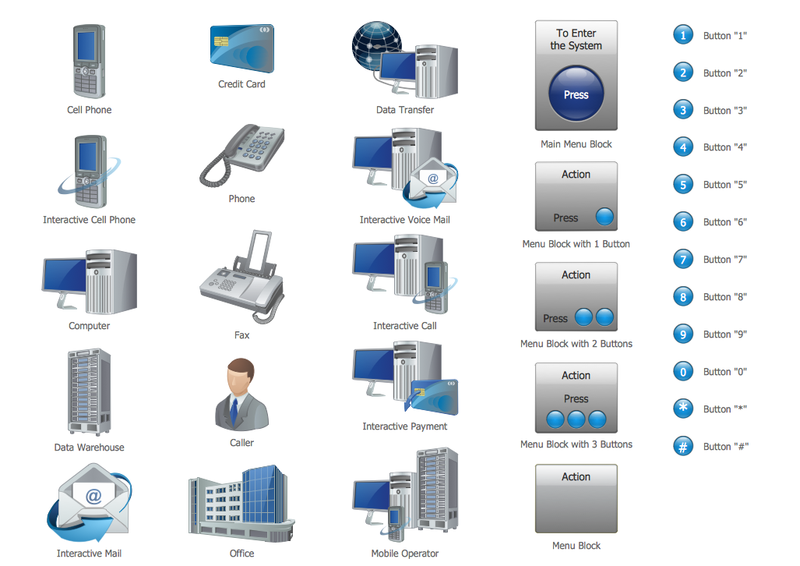 Interactive Voice Response Diagrams Solution offers you the Interactive Voice Response library which contains 35 vector shapes to help you in your drawing process. Don't afraid to use also the ready samples and templates as the base for your own Interactive Voice Response and Voice-over-Internet Protocol diagrams and schemes. All they are available from ConceptDraw STORE. We hope you will find the useful for you. 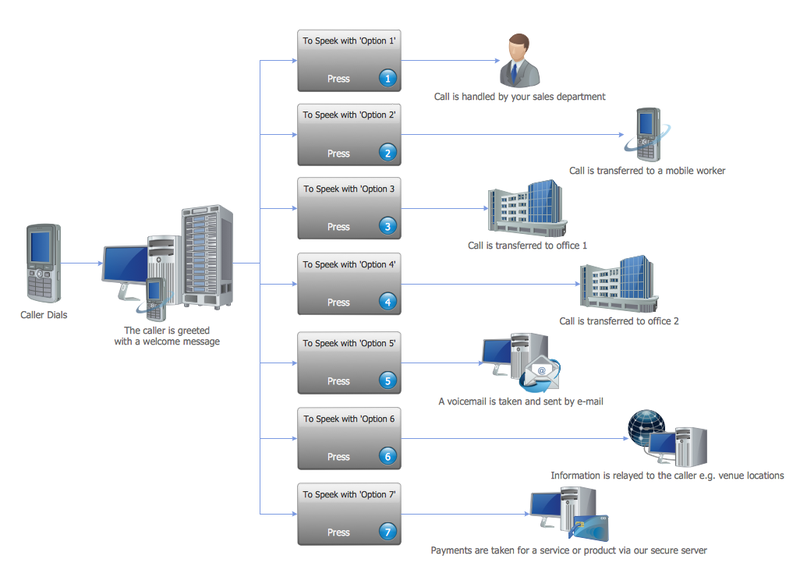 This sample was created in ConceptDraw DIAGRAM using the Interactive Voice Response Diagrams Solution and shows the logical and physical structure of IVR system in the form of IVR Services Diagram. An experienced user spent 10 minutes creating every of these samples. Use the Interactive Voice Response Diagrams Solution for ConceptDraw DIAGRAM software to create your own professional looking IVR and VoIP diagrams and represent the voice actors quick, easy and effective.